Employing for the first time? You can also call an Acas helpline adviser on 0300 123 1100 (8am-8pm Monday to Friday and 9am-1pm Saturday). Furthermore their service provision is free. Employed Nanny or Self Employed Nanny is the often the first question parents ask when engaging the services of a nanny. Being employed or self employed is not a matter of choice, but depends on the type of working relationship. See HMRC here for guidance. Generally, and only special circumstances would suggest otherwise, your nanny will be employed. If a nanny suggests she maybe self employed you should get confirmation from HMRC and can contact the status customer service team here. Nanny Payslips – As an employer you must provide your nanny with a payslip. 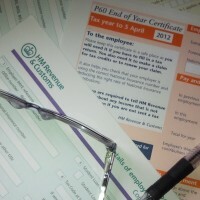 The payslip must show her gross wage, the tax and NI deductions made on her behalf, as well as the net pay.